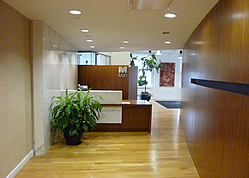 Great downtown Manhattan sublet office available for lease. This tenant has a long term lease and is looking to share space with any business looking to lease 2 to 5 year commitment. The office herein is richly appointed with many of the amenities expected by business including; furniture (Hon desks and cabinets), wiring for high speed phone / internet, glass enclosed conference room, server room with empty rack space + drops for the lines which terminate at each desk/office, and a mix of open space layout + private offices. 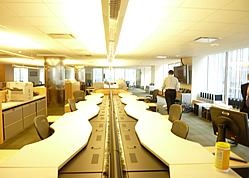 This office has it all to get you started quickly leaving you to concentrate on what's most important, your business! This sublet has been broken down into the following spaces, each of which can be leased separately or combined together. 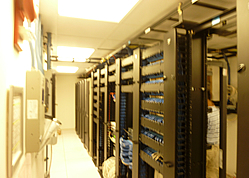 Furniture and phones are optionally included and the building is wired with Time Warner & MegaPath service. 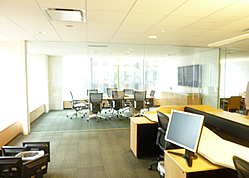 Just steps away from NYSE this office location leaves you poised to engage clients in the Financial District or beyond!